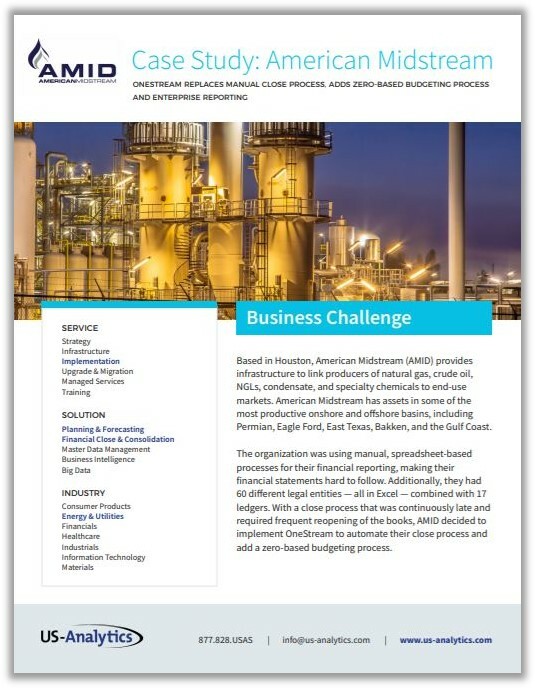 Houston-based American Midstream (AMID) was using manual processes for their financial reporting and were continuously late closing the books. Additionally, they had 60 different legal entities in Excel as well as 17 ledgers. 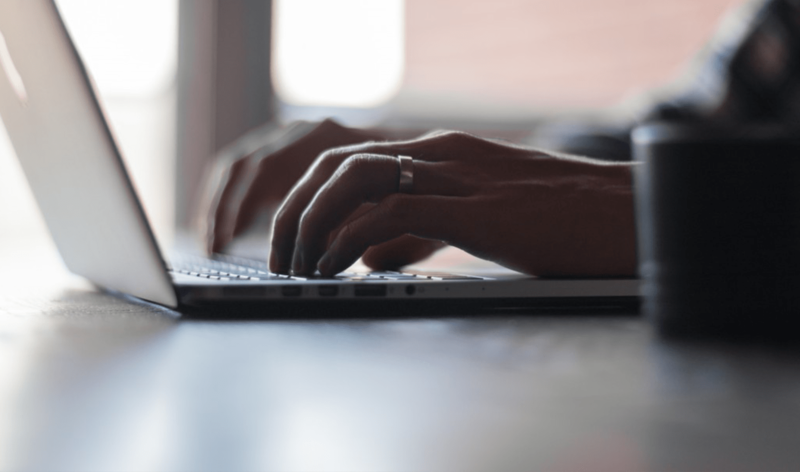 AMID chose OneStream to streamline their activities, improve data consistency as well as add a zero-based budgeting process. To learn about the project and how to successfully implement OneStream, get the case study. As a OneStream Silver Partner, US-Analytics is a full-service consulting firm focused on Corporate Performance Management (CPM) solutions.